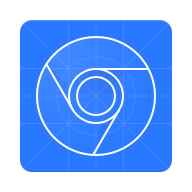 I’ve published over 150 animated gifs which showcase how to use Chrome DevTools — as part of my Dev Tips newsletter. For most tips, you can fully grasp the feature in less than 30 seconds. I also provide a text based alternative if you want to read more about it. In this post, you can find some of the most popular tips which I’ve sent out recently. Warning: These are slow and heavy gifs! Navigate to the link in the image captions if the gifs do not load. You can throttle the CPU in DevTools to understand how your page performs under that constraint. Timeline recordings you make with CPU throttling enabled can better highlight where expensive operations are being performed. You can now capture screenshots without an extension. You can capture the entire page, or only what is in the viewport. The point of this is to continually monitor improvements to your webpage over time. Especially useful during the development stage of a website. The rest of the tips live here: https://umaar.com/dev-tips/ — you’ll also find a few on Node.js. Please subscribe to the mailing list as this will help support the project. I post most of these on Twitter: https://twitter.com/umaar and share other web development related resources too. I have a premium course on ModernDevTools.com where I’ve already published a few hours worth of video. If you scroll down on the landing page (direct link), you’ll find the current video listing. I’ve put a huge focus on performance as that’s what you requested! I will be posting some Modern DevTools lessons on my YouTube channel for free. Please subscribe to let me know your interest.